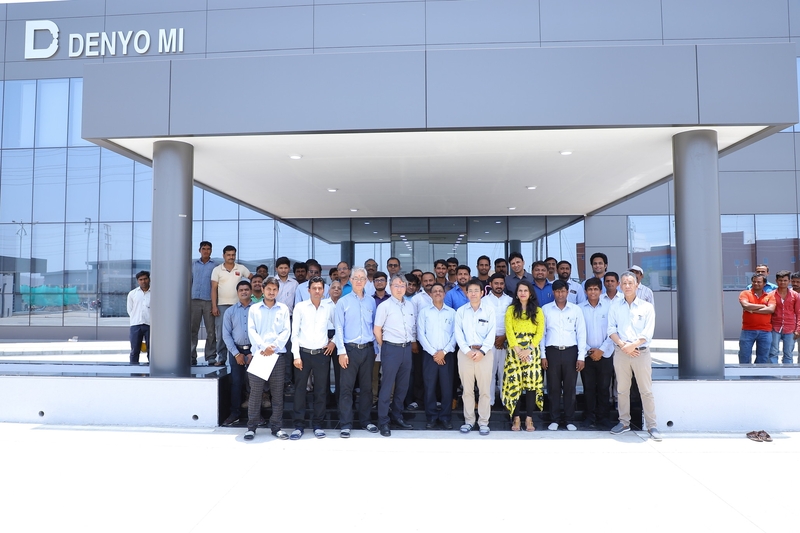 Denyo Manufacturing India (DMI) plant construction completed :: Denyo Kogyo Co., Ltd.
A ceremony was held to celebrate the construction completion of Denyo Manufacturing India (DMI) PVT LTD on May 31st 2018. 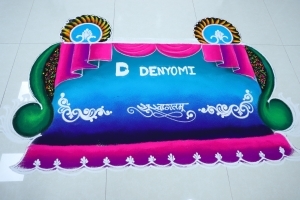 DMI is a group company of Denyo Kogyo, and located in Pune, India. Don’t blow on the paintings! 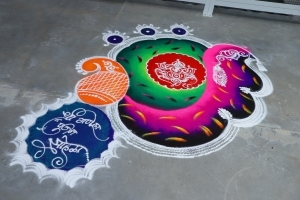 Actually, they are sand paintings. 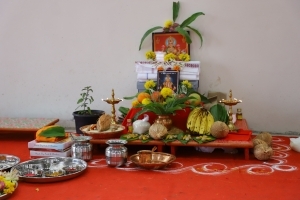 A Hindu ceremonial prayer called “Puja” was offered. That is a common practice at various events in India. 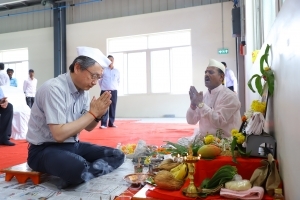 We were pleased with our brand new manufacturing plant. A group photo was taken in front of the entrance. 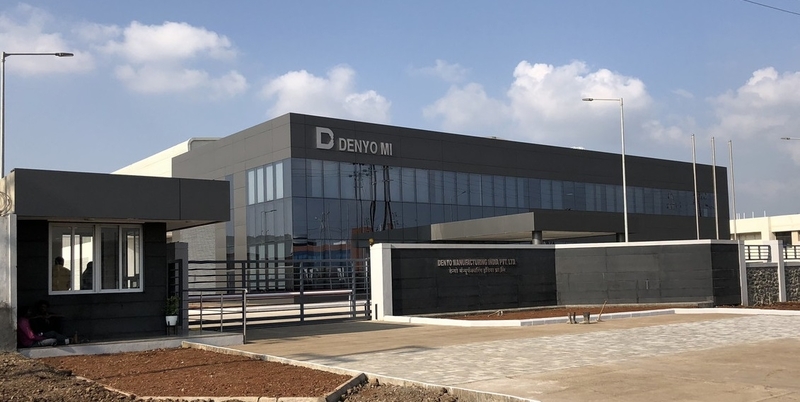 We are expecting DMI to be a business leader of Denyo Kogyo Group worldwide.